Fiji Islands -The magical isles with the friendliest people on earth! With over 300 islands, Fiji has it all, from glistening white sand beaches and crystal clear lagoons, warm tropical climate, unique atmosphere and world class diving, epic surfing, untouched rainforests to explore. With nearly perfect weather averaging between 78-85*degrees, depending on the season, there is a island for everyone’s tastes! 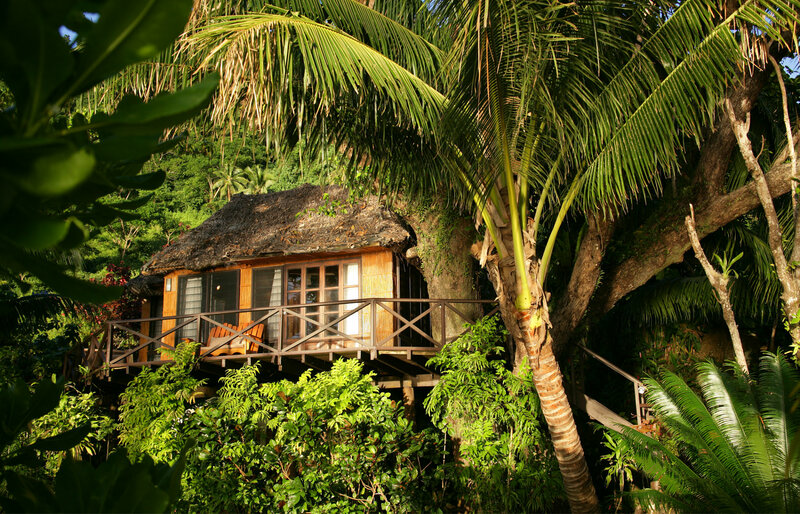 Matangi Resort Treehouse – photo credit. Fiji Islands is probably one of our top choices for Romance Travel, whether its just the two of you for your Honeymoon or you want to bring your favorite family and friends for a dream Destination Wedding, Fiji has the perfect choices. Their accommodations are amazing, from authentic beach or tree bungalows to luxury resorts over the water, their is something for every taste, speaking of taste, most of Fiji’s resorts include your food, unless your on the main island, where their are plenty of authentic restaurants to chose from. There is so much to do and explore in Fiji, depending on which islands you go to, Fiji is one of those destinations you really must island hop, I always recommend splitting your travel time between atleast 2 islands. Island hop- This is the best area in the south pacific to experience several islands, with more than 300 to chose from, each with their own beauty and culture. Coral Coast- A breathtaking 50 mile stretch of beautiful beaches and bays along the ocean road between Nadi and Suva. Sleeping Giant- Travel through the beautiful Sabeto Valley to the Gardens of the Sleeping Giant, where you will discover the largest orchid collection in Fiji. Kava Ceremony- Visit a village and experience a authentic Kava ceremony with the friendly locals.